Last Sunday saw the running of the Shay Elliot Memorial A1/A2 race by the club and thanks to all the members who showed out on the day to marshall, drive support cars, make tea and sandwiches and helped in so many ways to make the race such a success. Without this support the running of this race would not be possible. 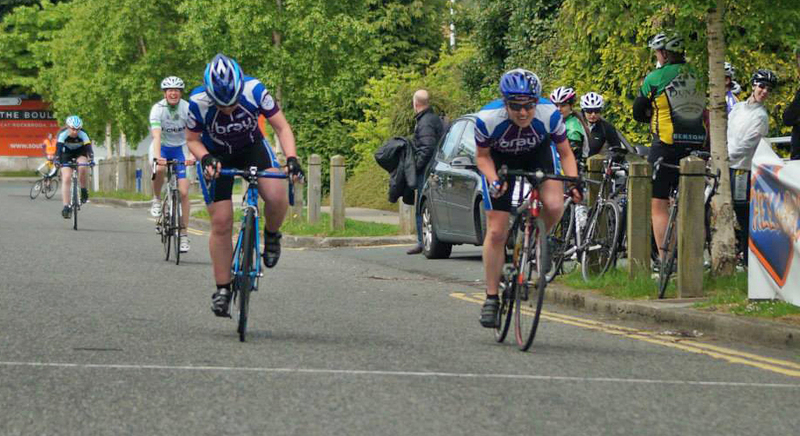 Congratulations to Michelle Carter and Sarah Pratt, both of Bray Wheelers, who were first and second overall in the final round of the women’s Crit League in Sandyford last Tuesday night. In the final event of the League there was a very close sprint between the Bray girls for 3rd and 4th place, with Sarah Pratt just edging out Michelle Carter in an extremely close finish. 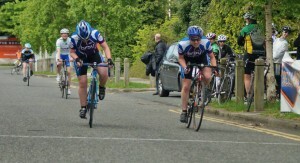 There were only 4 points in it in the end with Michelle finishing up on 159 and Sarah on 155. The first event of the new interclub time trial league took place on Tuesday night in torrential rain – a 10 mile TT down the N11 and back to Kilpeddar. Times were slower than expected due to the torrential rain and surface water on the road. The fastest time of the night was posted by Noel Conway of Bray, with Rob Magee a close second and Denis Cummins of Sorrento in third. Thursday nights club race was also an interclub league, with a large turnout, due to the improving weather. The first 6 or 7 groups came together towards the end and formed a large bunch. The winner Damien Doyle jumped away from this group shortly before the finish and held on to win. There was a bunch sprint to decide the minor places. Michael Emberly placed second and Sean Connelly finished in third. With no open races in Leinster this weekend very few travelled further afield to race. As usual there was a strong Bray contingent at the Vets races on Sunday morning and on Sunday afternoon there was a good turnout for the youth spin from Shanganagh.